Many public libraries on the US and around the world lend ebooks through OverDrive, 3M Cloud Library, and other services. When you borrowed fiction, OverDrive is the most used platform. OD lets you read in your web browser and works with most ereaders, including the Kindle. if you want to read fiction freely on ereader, you should convert it to epub/mobi/pdf format. Here’s how you can convert OverDrive ebooks to other format. 1. First of all, if you have not installed Adobe Digital Editions, click here to download it. 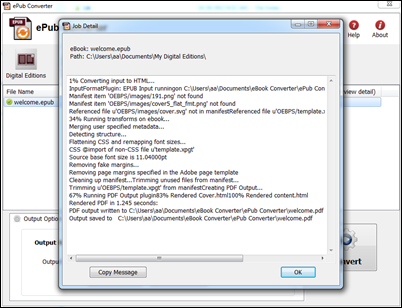 Then use your Adobe ID account to activate the Adobe Digital editions on the current computer, then you can download OverDrive Library fiction ebook in Adobe digital editions, it maybe a acsm file to download, acsm file is ebook download link information, digital editions will download real epub/pdf file automatically. 2. 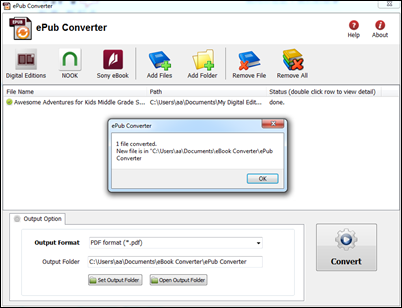 Download and install ePub Converter, it’s one of the best ebook conversion tools to help you convert drm epub file to pdf. 4. 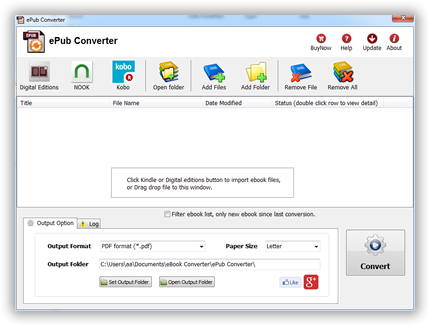 Select output format, user can set paper size if output is PDF format, it support Letter, A4, A5, B4,B5 size, then Click “Convert” button to start job, it takes time to convert to other format, wait until job finished. 5. After you succeeded in converting EPUB to PDF, you can read your epub in any device. To start, you will need a library card for a library which is also an OverDrive partner. You can search for a local library through the OverDrive website. Most libraries will only issue a library card to local residents, but a handful do issue cards to non-residents. You’ll of course need to get a library ebook before checking out any ebooks, and for that you’ll need to check with the library.